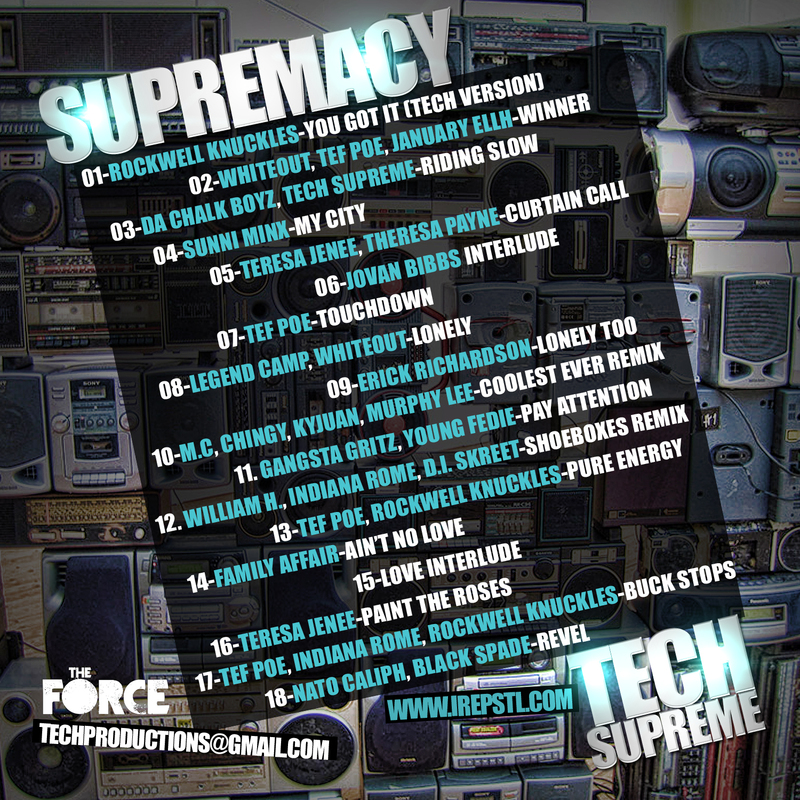 Check out this compilation from St. Louis Producer Tech Supreme called Supremacy. Tech is known for being a long time collaborator with Force emcee Tef Poe, but now branches out with his second compilation. Features include many Force contributors like Rockwell Knuckles, Teresa Jenee, Theresa Payne, Erick Richardson, Family Affair, Tef Poe, and more. It also features St. Louis artists like M.C, Whiteout, Legend Camp, Chingy, Murphy Lee, Da Chalk Boyz and more. Download here and if you enjoy leave a comment. Back cover after the jump. This entry was posted in Hip-Hop, Mixtape, R&B, Rap and tagged black spade, Chingy, D.I. 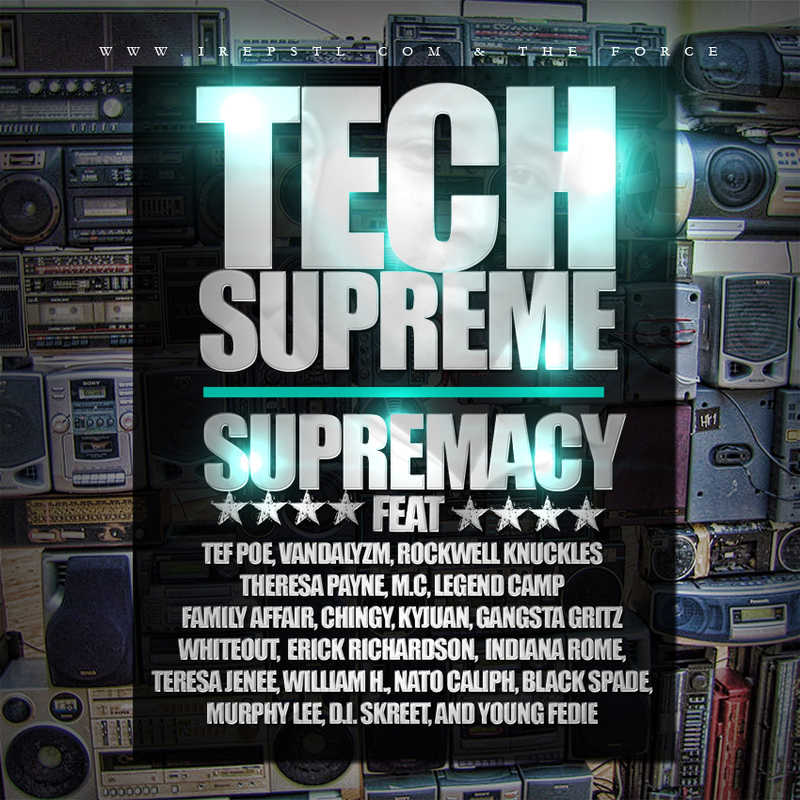 Skreet, Erick Richardson, family affair, M.C, murphy lee, rockwell knuckles, rome, st. louis, techsupreme, tef poe, teresa jenee, The Chalk Boyz, the force, theresa payne, Whiteout, William H. Bookmark the permalink.